Hi crafty friends! 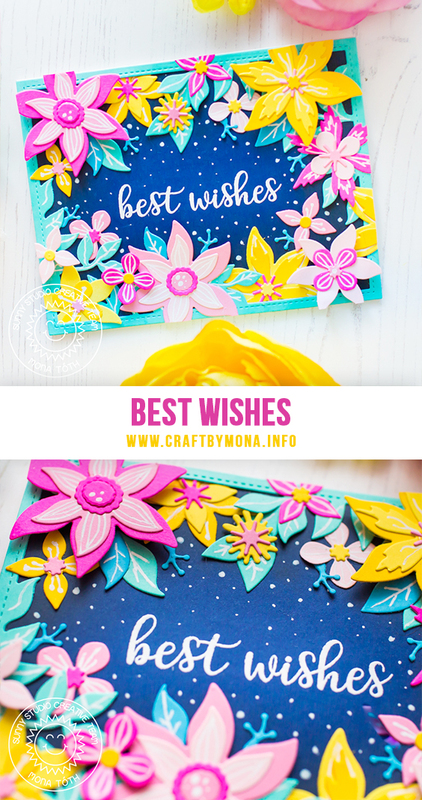 It's Mona here, today I am showing you a bright and colorful floral card what I made with the Botanical Backdrop Die from Sunny Studio Stamps. By the way, this Die is a must have guys, it's really versatile! This time I started the card making with ink blending. I searched for a darker blue cardstock from my stash and blended the corners with Black Soot and Chipped Sapphire Distress Oxide Inks. When it was done, I heat embossed the sentiment to the center of my card with white embossing powder. The next step was the Die-cutting. 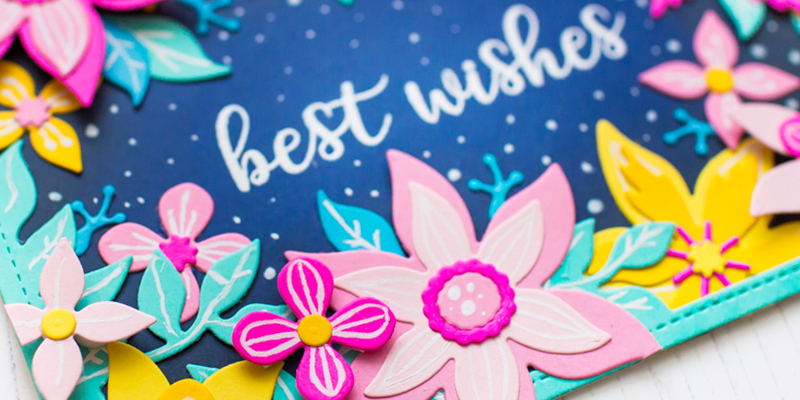 I picked three bright colored cardstock from my stash and I made many Die-cut flowers with the Botanical Backdrop Die. I added highlights and details with Signo Uniball white pen on the colored cardstock and put the parts together.